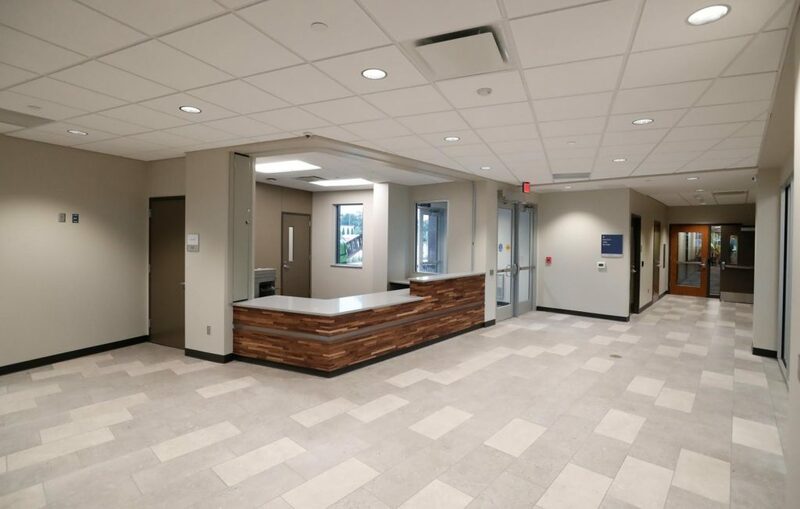 KEARNEY – The University of Nebraska at Kearney is ready to show off its newest residence hall. 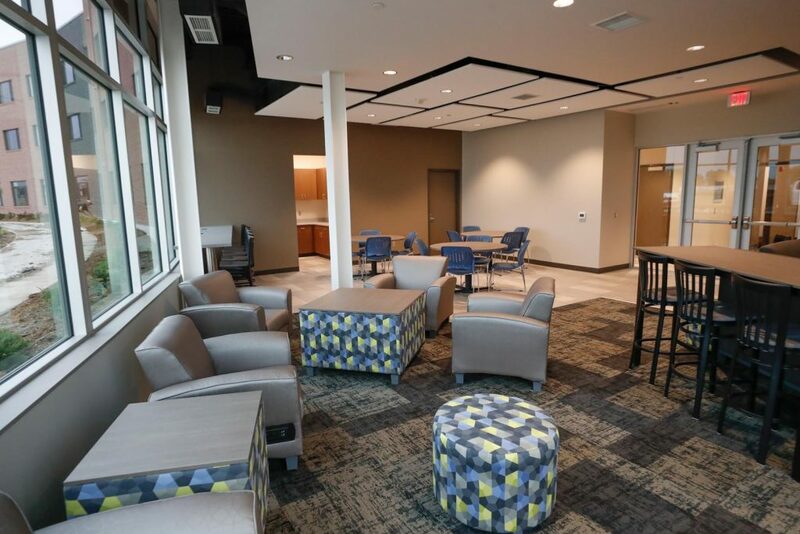 A ribbon-cutting and public open house are scheduled for 10-11:30 a.m. Tuesday at Village Flats, a 130-bed, apartment-style housing complex located at 2201 University Drive, directly south of the Health Science Education Complex and UNK’s West Center. 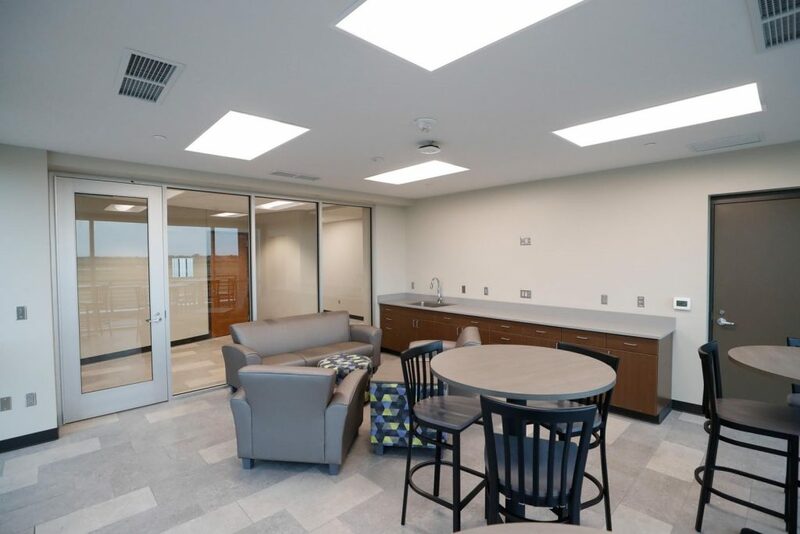 Village Flats features 68 one-bedroom and 31 two-bedroom units that are fully furnished with wireless internet, cable, utilities and furniture included. 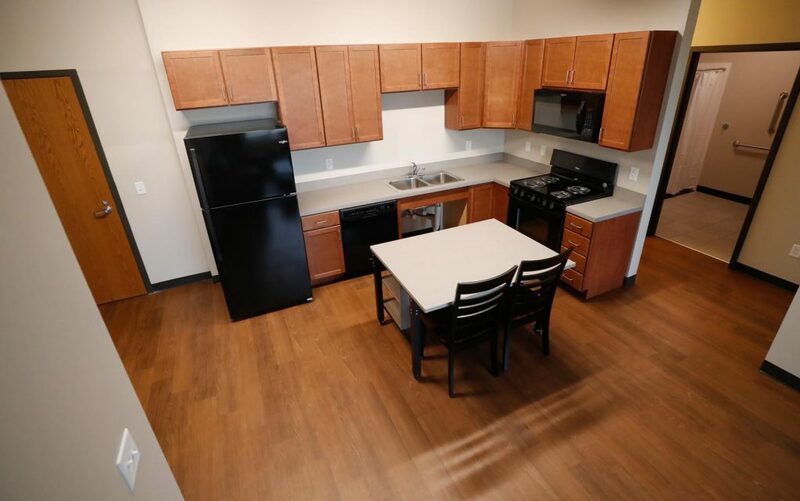 Each apartment has its own kitchen, and a UNK meal plan isn’t required for residents. 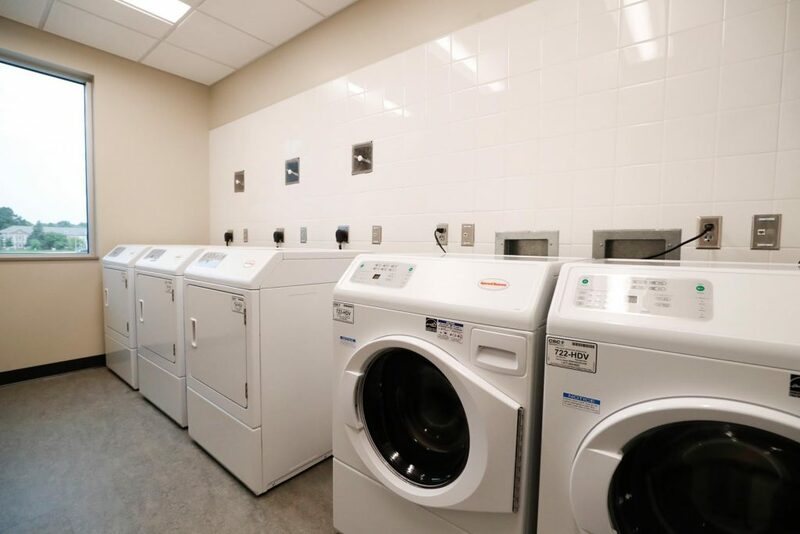 The three-story complex also boasts on-site laundry facilities, meeting rooms, a clubhouse space and rooftop patio. 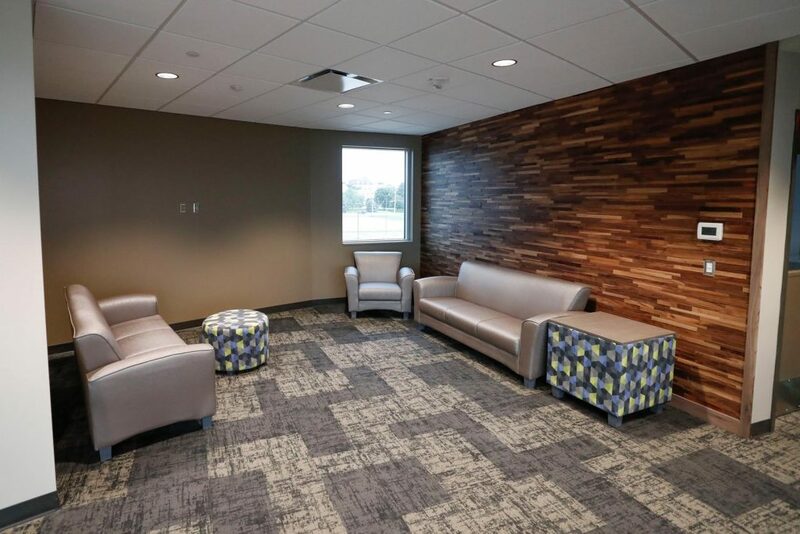 It’s designed to accommodate upperclassmen, graduate and nontraditional students, including families, and visiting or new faculty from both UNK and the University of Nebraska Medical Center. 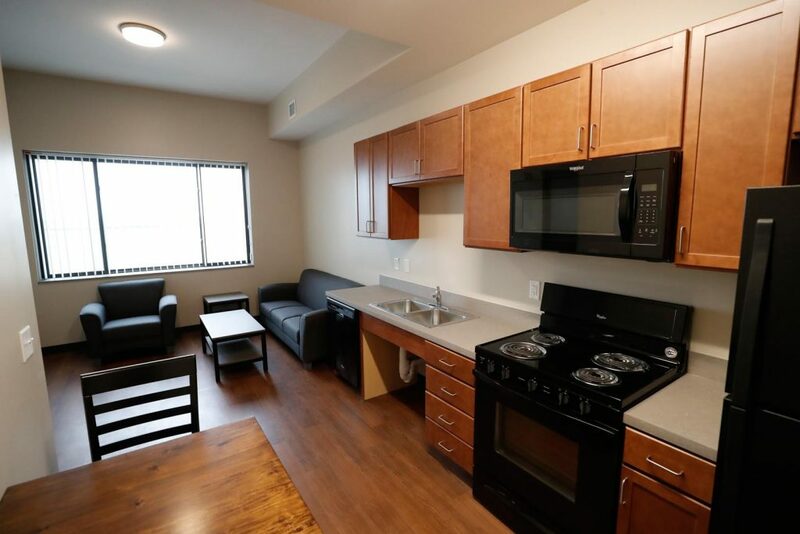 One-bedroom (about 440 square feet) and two-bedroom (700 square feet) units rent for $650 or $800 per month, respectively. 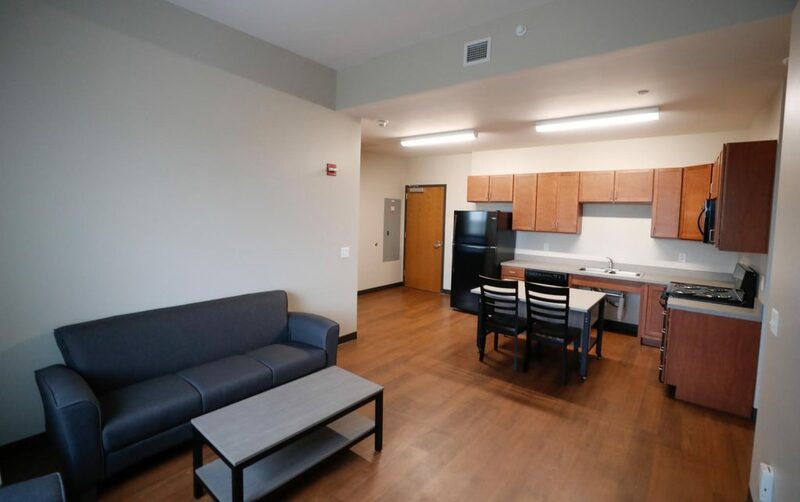 All one-bedroom apartments are filled for the upcoming fall semester and a limited number of two-bedroom units are still available. 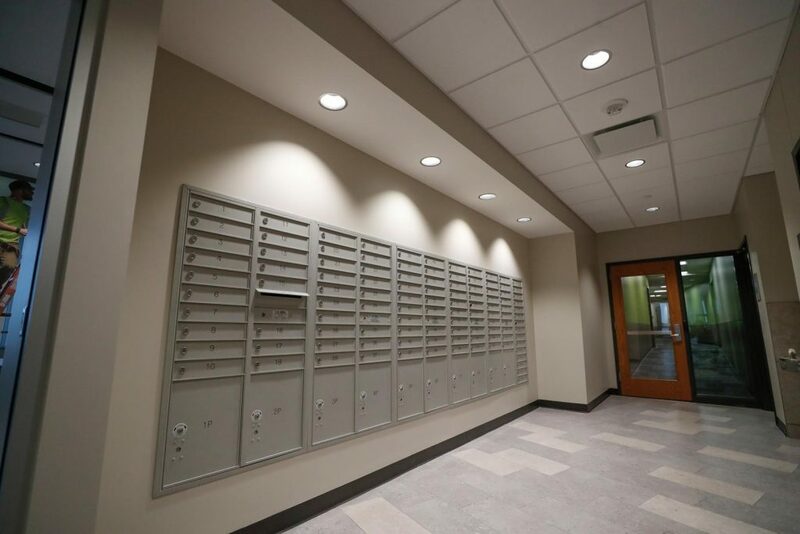 Residents will begin moving in Wednesday. The $16 million Village Flats project, which replaces the nearly 60-year-old University Heights apartments that were closed and sold in 2017, is the first piece of the University Village development taking shape on the south side of U.S. Highway 30. 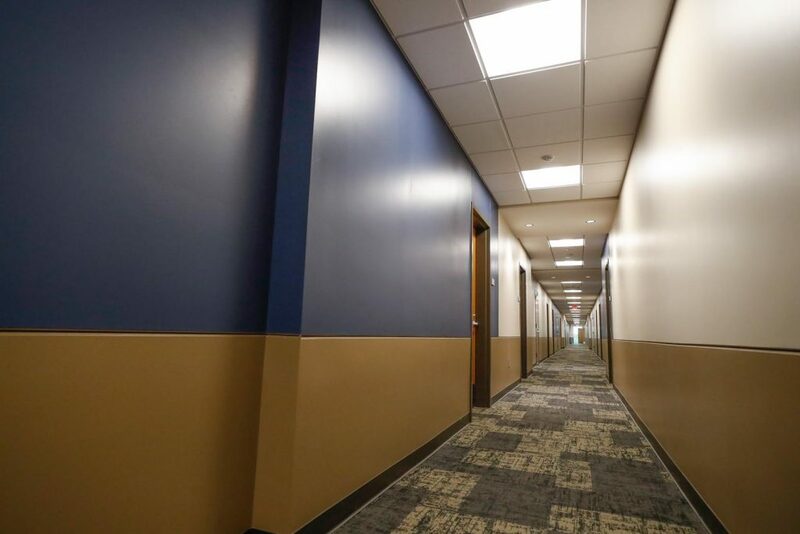 Funding for the new residence hall came from $12 million in revenue bonds and $4 million from a UNK surplus fund. 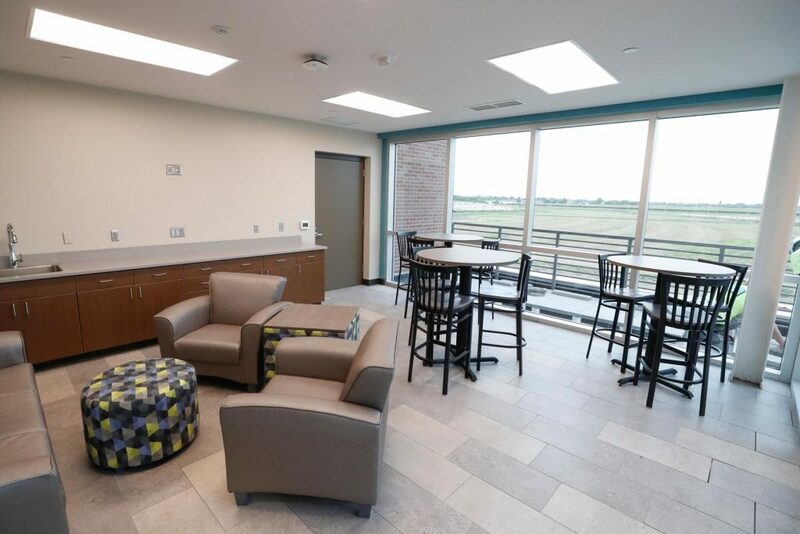 University Village, a mixed-use development on 104 acres of UNK-owned property, will transform the former cropland into an urban setting that combines academic, retail and office spaces with recreational amenities and housing. 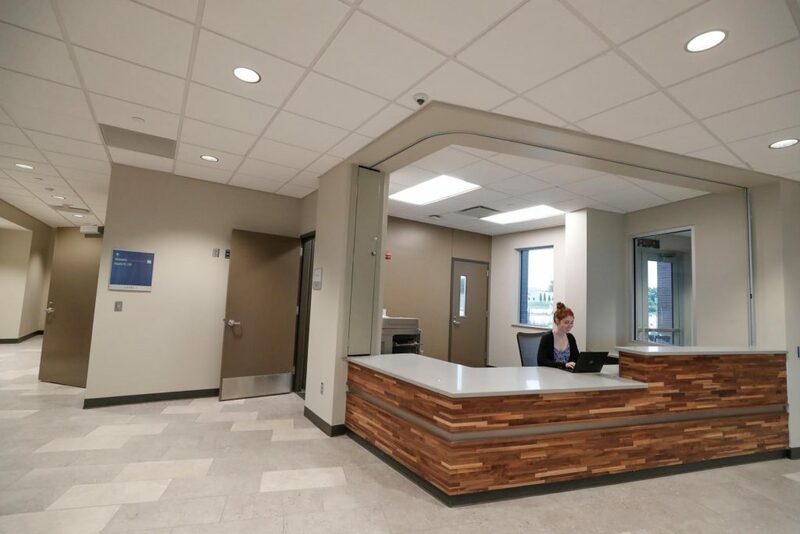 In addition to approximately 680 residential units, projects being considered for the area include a recreation complex with indoor track and tennis center, outdoor tennis courts and a softball complex. 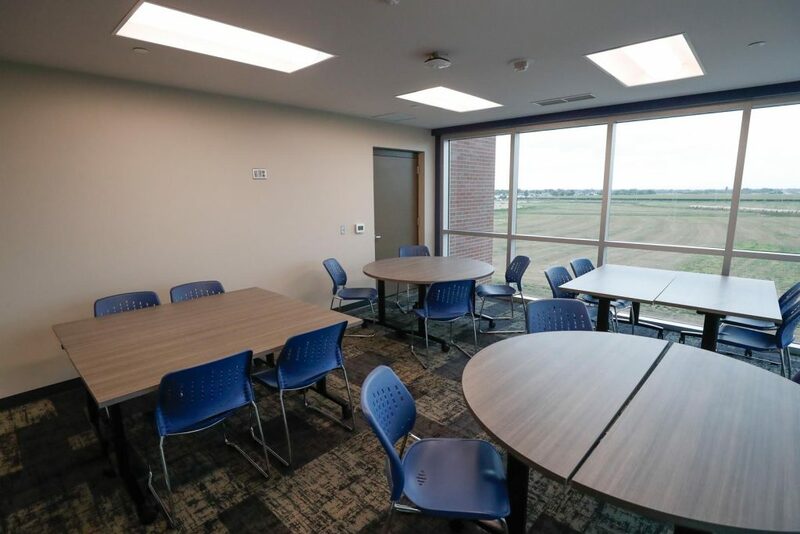 UNK plans to break ground in September on the LaVonne Kopecky Plambeck Early Childhood Education Center, which will also be located in University Village. 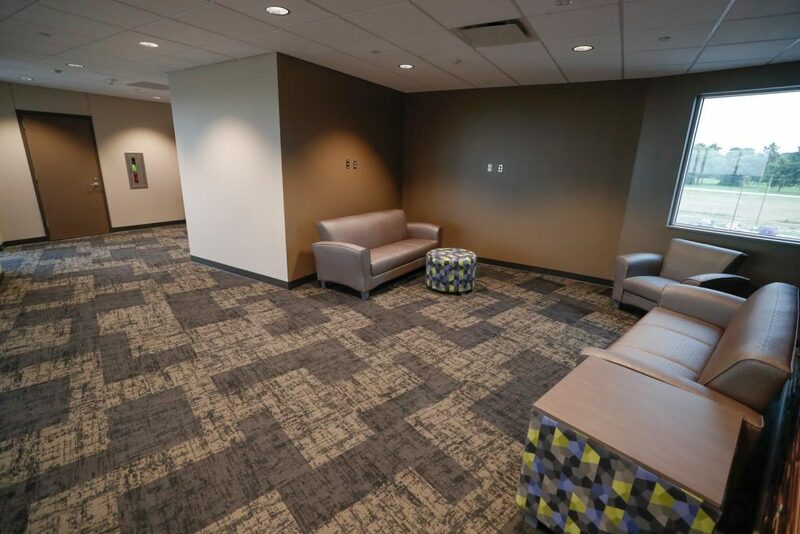 The $7.8 million, 19,900-square-foot facility that’s expected to open in fall 2019 replaces the Child Development Center that’s part of the 63-year-old Otto C. Olsen building. 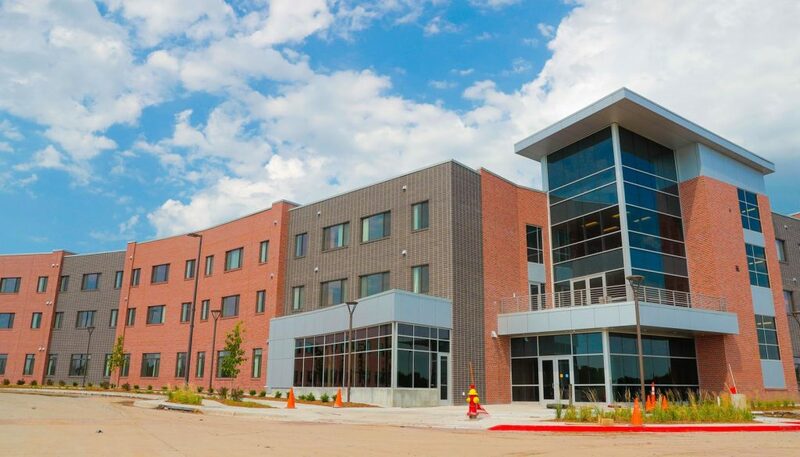 The Early Childhood Education Center, to be funded by state appropriations and a financial gift from Plambeck, will train undergraduate and graduate students from UNK and UNMC and serve Kearney-area families by providing care and developmentally appropriate education for up to 176 children from infants to age 6. 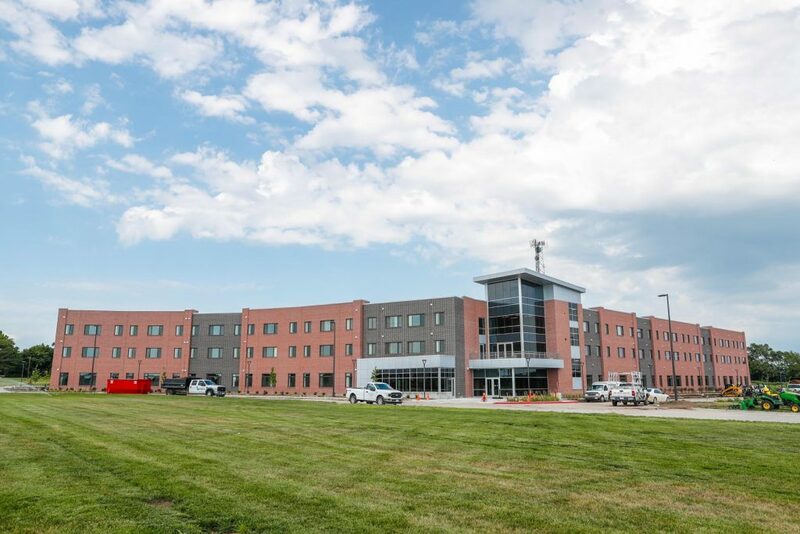 UNK is partnering with private and business entities on the University Village project, which could take 15 to 20 years to fully develop at an estimated investment of $400 million to $500 million. 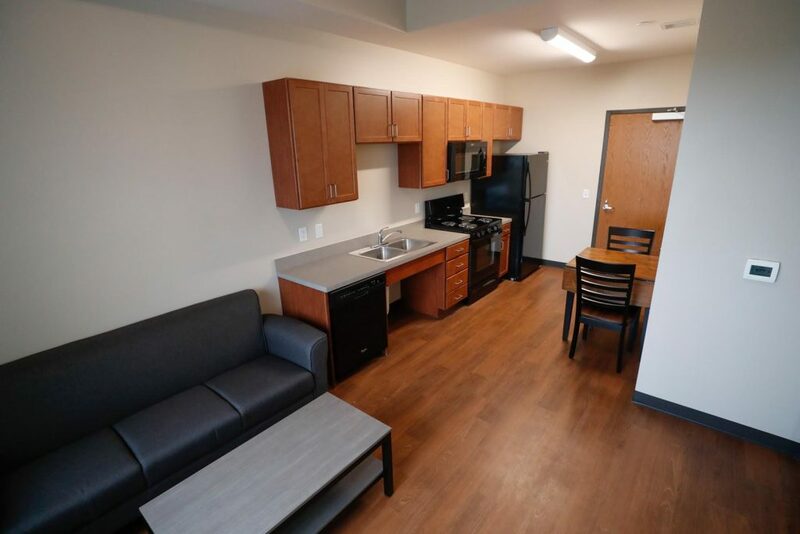 For more information on Village Flats, contact the UNK Office of Residence Life at apartments@unk.edu or 308-865-8519.